There has been much ruckus and fuss going on up here. 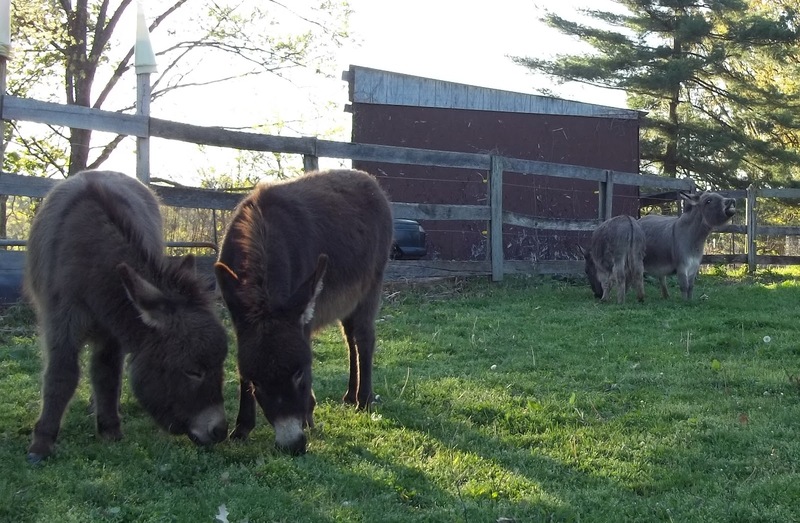 Donkey has gotten a herd of his own. He was donkey-less for a long time, and seemed to think he was a horse. 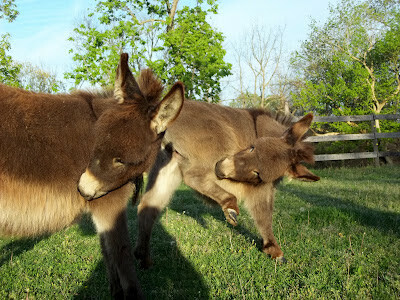 I've known all along that he was NOT a horse, but Donkey had to go through an adjustment period as he rediscovered his inner donkey. He spent much time torn between two worlds, not sure whether to cling to the familiar, aka Bert, or return to his donkey heritage. I have been giving him shoves.